This August I visited the island of Elba, during our summer road trip to Tuscany. Here we go again, my son said in Piombino, when we boarded a ferry: “Here we go again, a ferry&an island”. Because we have a summer cottage on island of Brac, Croatia and his all childhood memories of summer vacations are tied mostly to that island, which he loves deeply. There are many similarities between the two! I felt at home. Yes, I am in love with seas, yes, my soul anchors in seas and yes! I need vitamin sea often! Upon arrival in Porteferraio, we started to explore the island, ancient and rich in history. Not only did I enjoy these perfumes in situ, I also bring you a short interview with one of the owners. I was so fascinated with their effort that I just had to find out more! The heart of Acqua dell’Elba is in the laboratory in Marciana Marina, where the owners, Chiara, Fabio and Marco have worked since 2000. Together with master craftsmen who gave life to their perfumes. It was also here that the first Acqua dell’Elba shop was born. The story of how the company has been born is interesting as well: the three owners went sailing in their boat. They reached Paolina’s cliff, where an ancient ivory statue kept the secret of an essence in its top. So they decided to recreate that fragrance, the scent of the sea surrounding Elba…you can find more details on their web page, but this is what they told me, Q and A’s. Q:	Is there a difference between Italian and French perfumery? A:	The only difference in our sector is between mass and niche products. Even if we’re trying to expand our markets and enlarge the number of people how know and appreciate Acqua dell’Elba, we are a still small company, operating in a niche, who share with other niche companies the same values: authenticity, passions, uniqueness. Q:	How would you describe style of your creations? 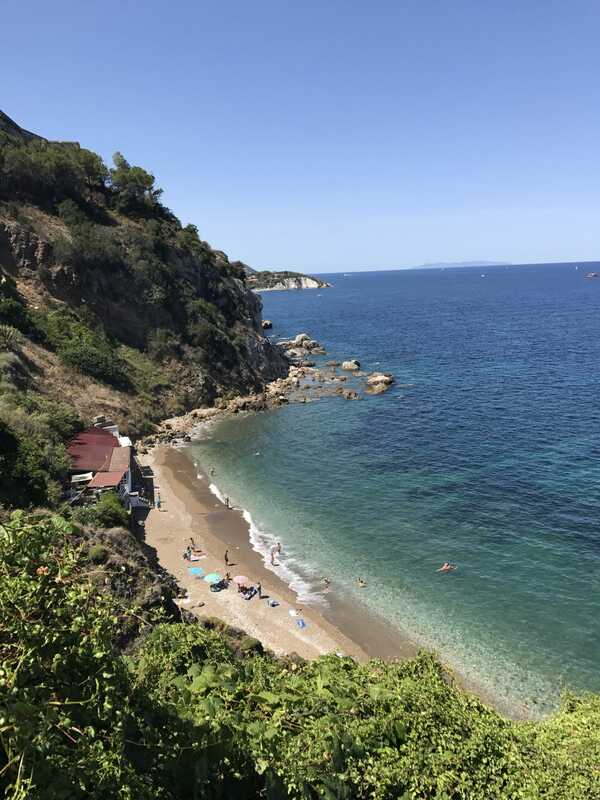 A:	Acqua dell’Elba is the Essence of the Sea. Its uniqueness lies in the creation of artisan fragrances inspired by the sea in one of the most beautiful island of the Mediterranean Sea. Each product is created by expert Tuscan craftsmen using natural raw materials of the highest quality. Q:	What do you think is the biggest challenge in perfume production today? A:	Being authentic, meaning by that the capacity to maintain a link with your roots, your territory and your background. As for the wine sector, the perfumery industry should work much more on the concept of “terroir”. Q:	Which one is your favourite in the collection? Q:	Which one would you say represents the very soul of Elba? A: All Acqua dell’Elba’s products bring to people a piece of Elba: The elegance of the landscapes with Classica; the adventure of the nature with Arcipelago; the deep of the sea with Blu; the energy of the wind with Sport; the essence of an island with Acqua, Smeraldo and Altrove. Q:	I recently purchased three different Acqua dell’Elba perfumes. While visiting Elba I went for a swim on Portoferraio city beach and after that, sea salt still in my hair,I walked into one of your shops. Smeraldo was my first choice, because my afternoon smelled just like that. Which one is for you is the scent of a romantic evening on Elba? The perfume of love. For the sea…A sea lover I am and I find that simply beautiful. Now I have a dream: I would love to work on a creation of a perfume speaking in olfactory language about the island of Brac as well!